In the Spring of 1939, renowned Missionary, Pearl Todd, came to visit the students of the Ray City School. “Miss Pearl Allene Todd, was born in Hahira, GA, on November 2, 1890, to Rev. Edward and Emma Todd, one of five children. She came to Christ at the age of thirteen and was baptized in Plant City, Florida. Later, she graduated from Tift College with a degree in Classical Studies in 1913.” – Pearl Allene Todd – Missionary to China. Pearl Todd became a Southern Baptist Missionary and went to China in 1919. Upon arriving in Shantung , she was stationed in the port city of Chefoo where she served as the principal of Williams Memorial Girls School. Chefoo (now “Yantai” 烟台) is one of two major port cities in the Shantung Province and is the city in which Miss Todd spent her missionary career teaching women, only taking furloughs from May 14, 1927, to July 18, 1931 during Chiang Kai-shek’s Northern Expedition, then from May 29, 1938, to August 19, 1939. It was while on furlough in the Spring of 1939 that Pearl Todd came to Ray City to visit with students at the Ray City School. Miss Todd told the students of life in China sharing with them her many experiences with the Chinese people, and taught them to sing a children’s song in the Chinese language. In August, 1939, Pearl Todd returned to China. Her work was interrupted in 1941 when she was taken prisoner at the onset of World War II. 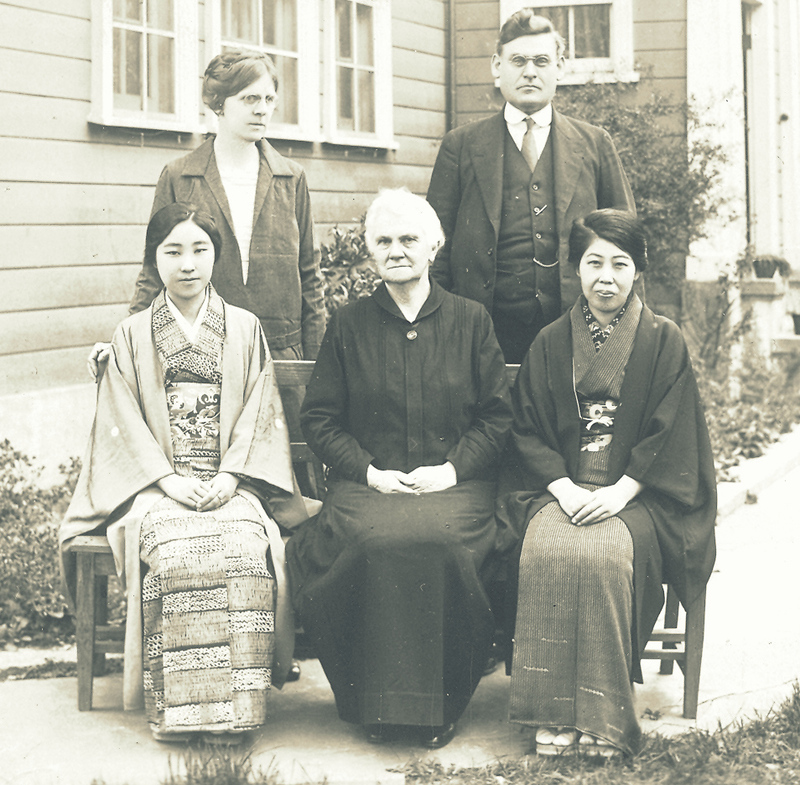 After being repatriated in 1942, she spent seven years completing deputation work stateside, after which she returned to the Foreign Missionary Board to serve seven years in Fukuoka, Japan, from Jan 7, 1950, to her retirement on August 21, 1957. 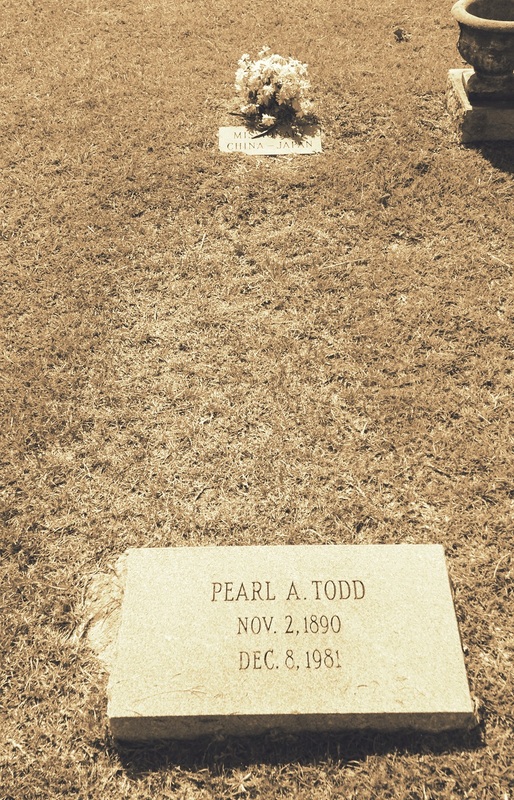 Grave of Pearl Allene Todd, New Bethel Church near Ray City, GA. She was Southern Baptist Missionary in China and Japan. She visited with students at the Ray City School in 1939.